Unlike many of its contemporaries, the Antietam half dollar commemorates an event that was of truly national significance. The Battle of Antietam, which occurred on September 17th of 1862, is remembered as the single bloodiest day of the American Civil War. In total, nearly 5,000 were killed, and 20,000 were wounded. 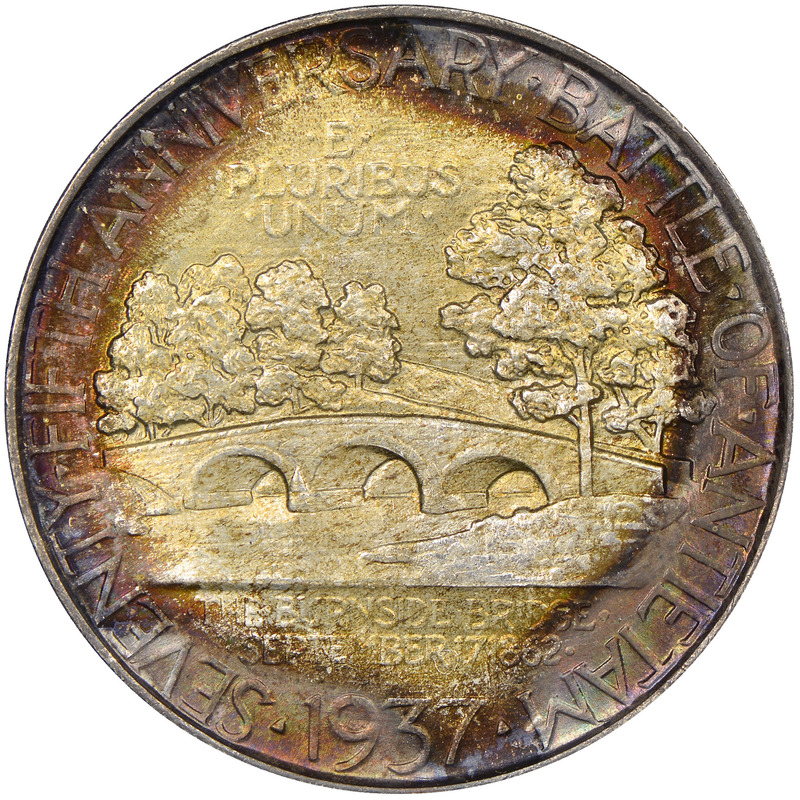 The coinage of this commemorative was prompted by the Washington County Historical Society of Hagerstown, Maryland, which designated an Antietam Celebration Commission to co-ordinate events marking the battle’s 75th anniversary in 1937. A bill authorizing the coinage of no more than 50,000 Antietam half dollars was passed on June 24 of that year. Recognizing the abuses perpetrated by other coin programs, this legislation specifically required that the coins be struck with a single design and at a single mint. Baltimore sculptor William Marks Simpson was selected to design and model the coin. 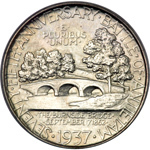 Simpson was also the creator of commemorative halves for Roanoke and Norfolk. His models for the Antietam half dollar were reviewed favorably by the Commission of Fine Arts. 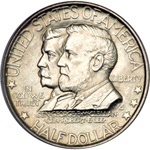 The obverse depicts the generals of the two armies involved, George B. McClellan and Robert E. Lee on the obverse. 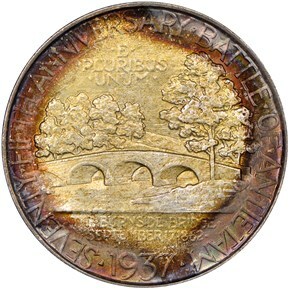 The reverse features a view of a bridge over Antietam Creek which was the focus of the fighting in 1862. 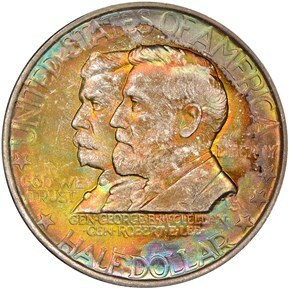 The entire authorized mintage of 50,000 pieces was struck in August of 1937 at the Philadelphia Mint. 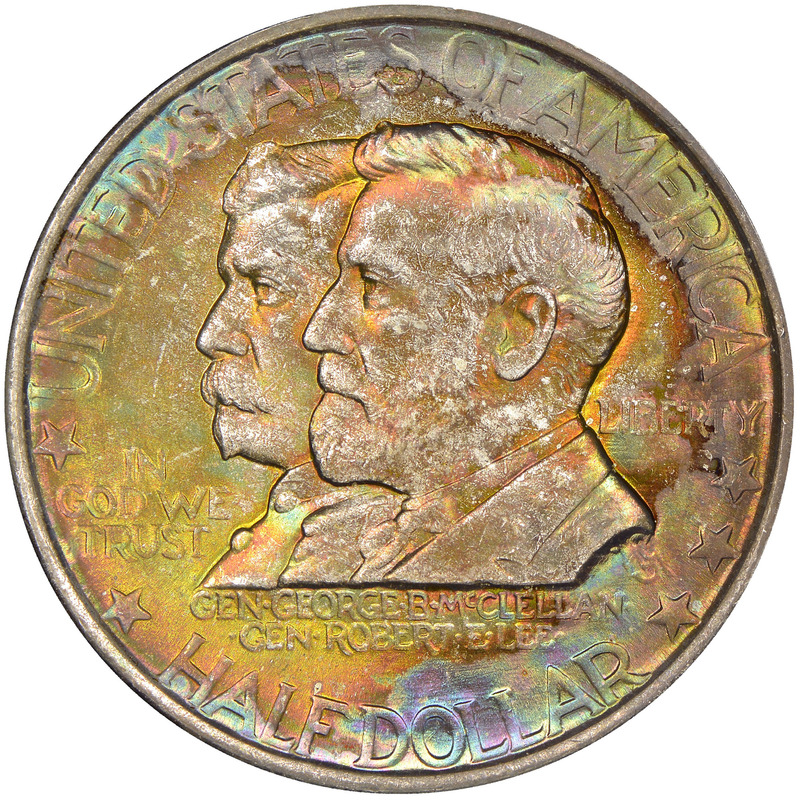 The first struck was offered to President Franklin Roosevelt on August 12 of that year, and the remainder were offered by the Washington County Historical Society at $1.65 a piece. Despite the significant theme of the coin, they were poor sellers, and 32,000 were returned to the mint to be destroyed. This left a net mintage of merely 18,000 coins. 11/16/2010 — The Battle of Antietam Creek, also known as the Battle of Sharpsburg, occurred on September 17, 1862.